I put quinoa in cookies. Yep, I totally went there. Quinoa is that super healthy grain that we all only eat to make ourselves feel better after one too many late-night cheeseburgers. I was pretty skeptical about using such a healthy item in cookies but since it is January and it seems that everyone is inevitably on some sort of cleanse at the moment – it was only fitting to give it a try. 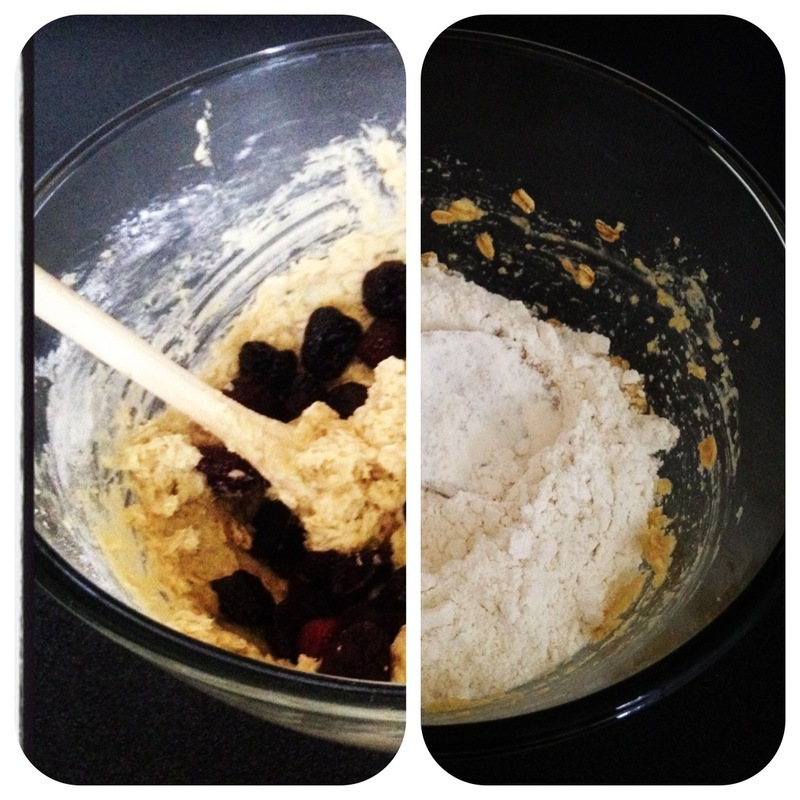 But…then I added drunken cherries because I couldn’t quite bring myself to go all out baking cleanse-mode. And there is butter. So yeah. Drunken cherries are probably the best thing I’ve eaten all year. 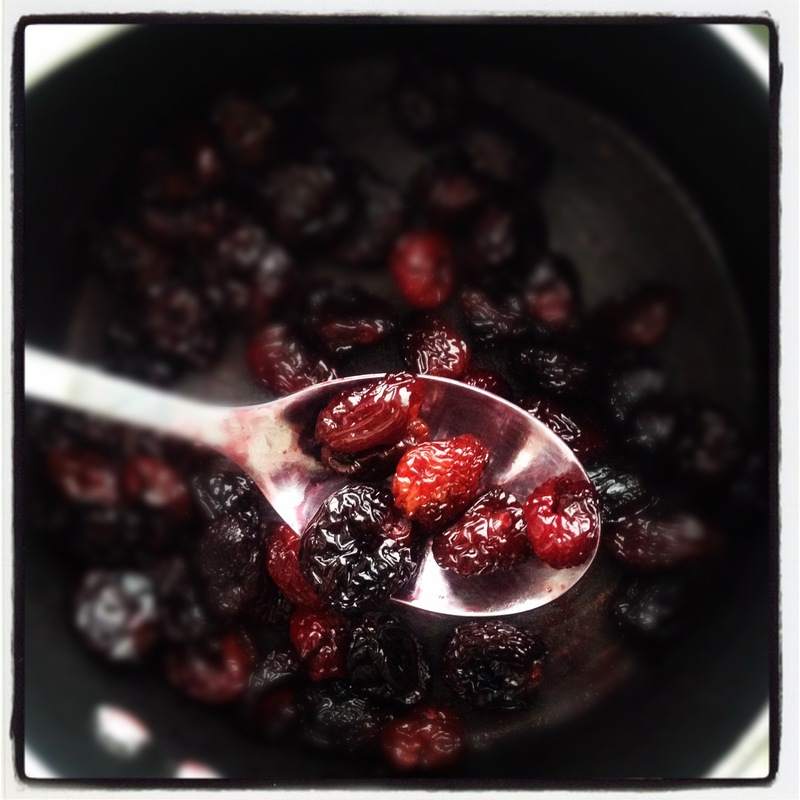 Dried fruit gets simmered in booze until all that liquid delicious-ness is soaked up by the cherries. I promise I won’t tell if a few don’t make it into the dough. Then when the oat and cinnamon smells started wafting out of the oven and I finally got to eat one, I am telling you that these cookies are good. Like actually really good. Think of this cookie as the jacked-up version of its oatmeal raisin cousin. I will happily continue on my baking cleanse if I can keep eating cookies like these. They are light, cakey and tender little pillows of goodness. Plus this recipe is a great way to use all that quinoa you were planning on making this weekend, right? Preheat the oven to 350 and line a baking sheet with parchment. Combine the cherries and booze in your smallest saucepan and simmer over low heat, stirring occasionally, until the fruit is drunk. You know they are ready when there is no liquid left in the pan and the cherries are plump and happy. Set aside. In a medium bowl combine the flour, salt, baking soda, baking powder and cinnamon. In a larger bowl beat the butter, honey and sugars together until light and fluffy. Add the eggs and the extracts until well blended. 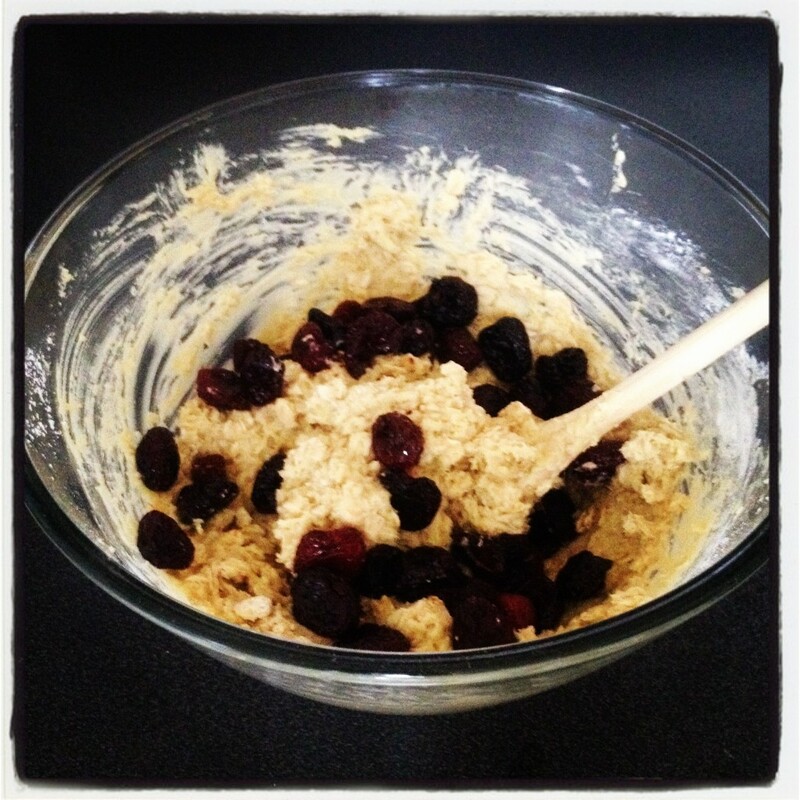 Add the quinoa, oats, and cherries and stir to combine, then add the flour until it is fully incorporated. Scoop into heaping tablespoons and bake for 12-15 minutes or until the cookies are lightly brown. Wow. This is a must. I’m watching my pennies. 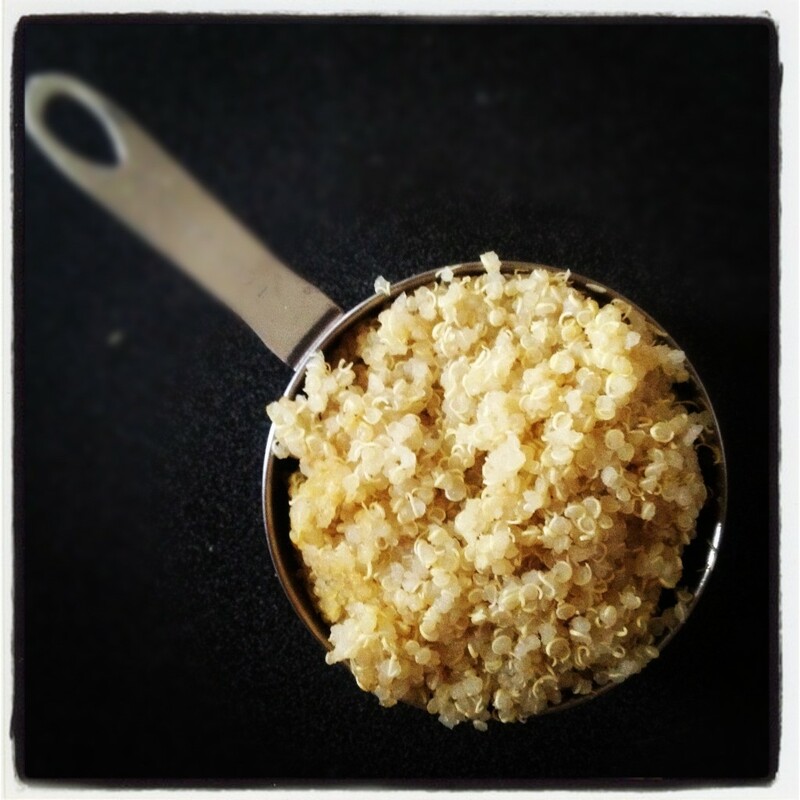 The few I have left, but I love quinoa – really. 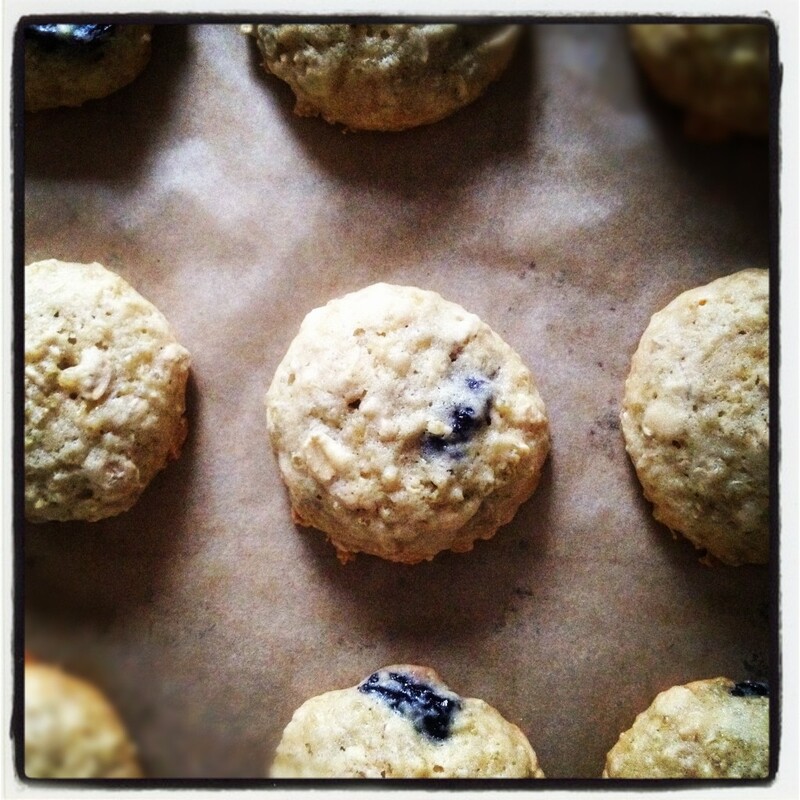 I just baked a Oatmeal, Chocolate Chips + Walnut cookie that turned out to be my favorite. I was happy to see the oatmeal also in your recipe. After the 1st of the month, I will head to Sprouts Marketplace and purchase some bulk items to make the cookies. I can hardly wait, but it’s just around the corner. Thanks for the recipe, I might substitute dried cranberries for the cherries.